1. Order online at pizzapizza.ca or via the Pizza Pizza app. 2. Locate the 17 digit REF (number at the bottom of your receipt when your order is delivered). 4. Fill the entry form. 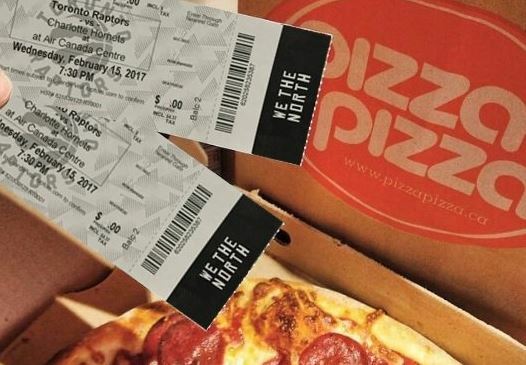 2 Toronto Raptors tickets to Wednesday February 15 vs Charlotte Hornets.